12 volt dc Submersible Centrifugal Water pump, NOT Self-priming ,design to be submerged,can be powered by battery pack, solar pannle or 12 dc power adapter, please Search ASIN (B0713T89R1 ) for the power adapter. 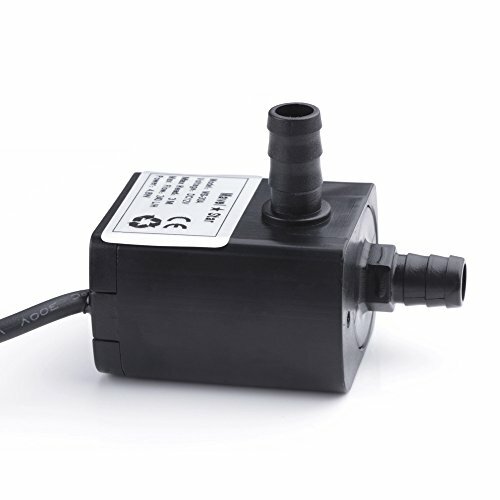 Nice water pump For the Water fall,Water feature or Water foutain in Home & Garden,can be powered directly by a power adapter,please Search ASIN (B0713T89R1) for the power adapter. Perfect for the transfering of Water,acid or alkaline solution. If you have any questions about this product by Cytec, contact us by completing and submitting the form below. If you are looking for a specif part number, please include it with your message.